Please prayer for me. A human demon has taken my life, property and finances and is taking me to court to get my house. Interceed for me to our Lord that i may gain healling of the brain tumour that the Dr. Said i have. I pray for healing from headaches, eye pains and dizziness in the name of Jesus. Amen. I finally got around to making the appointment for my son in regards to the mole on the bottom of his foot that has doubled, maybe even tripled, in size. I am very concerned and stressed. I pray that he will be receptive about going since he gets very anxious about appointments. I pray that the size it is now is the size it remains, that it is benign and that it doesn't have to be excised. I am crying as I write this. He is my only child and I am praying for everything to be all right. Please give me strength and intercede on my behalf to the Lord to help my prayers be heard. Thank you for answering past prayers. Thank you St. Jude for interceding on my behalf and answering my prayers in regards to the mole on the bottom of my 9 year old son's foot! Thank you! First, I want to thank you for answering a recent prayer and for answering past prayers. I ask you again to intercede in helping me with getting more prayers answered. I will be getting some blood work and a PAP test done and I pray that the results will be normal. I will be inquiring about my biopsy that I had done a couple of months ago. The office did not call so I am hoping that the results were benign. I did call to inquire and they checked but I did not get a straight answer except that everything seemed fine. I pray that this is the case. Also, I have 5 moles that I am concerned about. One of them will be looked at by an opthamologist on Monday because it is on my eyelid/eyelash line. It has grown some since I first noticed it. I pray they are all benign, that none of them have to be biopsied a, that they don't change and that they stop growing. Thank you again. Thank you St. Jude for answering my prayer! For now it will be a watch and wait situation. Hopefully the growth on my eye will not get any bigger. I am fine with leaving it but should it become bothersome or larger it will have to get removed. For now, I pray that my upcoming doctor's appointment goes well and that when the test results come back that they are all normal. Again, I thank you for answering past prayers and for helping me get through difficult times. please pray for reconciliation from my partner. we are having trouble since june last year and want to win him back for our daughter. i love him and willing to wait and do everything the best i can to prove that i am capable of transformation. i ask thrugh your Son Jesus and Mother of all virgins. amen. Thank you st Jude for your help when I was in deep pain and agony. Keep praying to Lord for us. Always keep your blessings on us. keep your blessings on my daughter that she becomes always healthy, happy and successful. Thank you from N.R and A.R.for favour received. I received a phone call late this evening from my doctor's office. My doctor wants to speak with me regarding my blood work. I am so worried and anxious. I pray that it is nothing serious. I'm still waiting for test results from a gynealogical exam as well. Again, praying that everything be okay. Please help m, give me strength when I go in tomorrow and please intercede on my behalf. Thank you for answering prayers in the past. I don't know where to begin. This past year has been extremely stressful with all the health issues involving myself and my family. I thought I was finally at the end of it all. That I could go away on my vacation and just leave everything behind and relax. My heart is pounding as I write this. I went for my blood work results and ended up leaving more concerned than when I received the phone cal about coming in. The doctor had other tests results to discuss with me. My cholesterol level is slightly raised and one of my gynealogical tests came back with a small concern. Since I don't have the symptoms (yet) I will not be put on the antibiotics for it. Everything else with my blood work and PAP were fine. Thank God. However, my breast biopsy that I had in November and was told was benign may not be the case. The results were amended almost 3 months later. I don't understand how this could have happened. I guess it's a good thing they were because if the lesion is not benign it is one that will become malignant. Little is known about this type of lesion which has me quite concerned. I am meeting with the surgeon next week (3 days before I leave on vacation) to discuss my results and book my surgery. I am so worried. Please give me strength. Please let me be alright at the end of all this. My mood is affecting my family life. My husband is supportive but he expects me to act like nothing is wrong and I just can't. You have helped answer my prayers in the past. Please help me again and intercede on my behalf St. Jude. Dear Jesus and St. Jude, Thank you for help I am trusting you to guide us and help us as we needed to help me with my request I remain faithful in my trust that all things will work as I am hoping. Blessed be God forever. Thank you St. Jude for interceding before God to help me with all the problems my family and I had. Thanks to God’s Divine Mercy and your intercession all my troubles went away. Thank you for the many times you have interceded for me before. In my lowest hour of need, I prayed and received relief. Thank you. I just wanted to thank you for interceding on my behalf and having God look after my family and I while we were away on vacation. Thank you for the safe flight, stay and return trip home. I know pray, as I did before we left, in regards to the operation I am facing next week. Initially my biopsy results seemed fine but were amended a few months later and surgery is now recommended because they are not sure if they growth is benign or if it is something that can turn and grow and spread. There is another lesion beside the one of concern that they will be removing as well. Please, I pray, that the end result of both is benign. I am terrified. Please give me strength to get through this. I still have to tell my 9 year old very sensitive son. I don't want him to worry. May the surgery be successful and please may everything be okay in the end. Thank you for answering past prayers. Dear st Jude, I love God, Mary and Jesus. Please help me find a husband that loves you and loves me and that I can love. I have been praying to you about this matter for quite a while now. I had my surgery yesterday to remove the two lesions from my breast. I am at home now recovering. I am praying to you to help intercede on my behalf...praying that the results will both be benign. Thank you for answering past prayers. I am so grateful to St. Jude. My son and daughter in law have been struggling with fertility issues and I have prayed to St. Jude for help. I am so happy to say that today we found out they are pregnant and I attribute this miracle to St. Jude. I am forever going to be grateful to him for this miracle when there were so many obstacles in their way. Prayer to St. Jude really does work. keep your blessings on me and. my daughter that she is always healthy, happy and successful. I am still in discomfort from my surgery from 9 days ago. It is not getting better at all. I have my follow-up appointment a week from today and pray that it will be better by then and that my results are all benign. Give me strength to get through this. Thank you for interceding on my behalf when I have asked. I am praying that you do the same for me and that my prayers will be answered again. Thank you. Yesterday my 9 year old son told me he could no longer feel the small hard growth that was protruding on his upper gum line. We were told by the orthodontist to watch and wait. Whatever it was (maybe a piece of baby tooth that got left behind and took over a year to work its way through the gum line) it is no longer there! I had to check a couple of times to believe it. Thank you for interceding on my behalf and answering my prayer. Forever grateful. Dear St. Jude- my 9 Day Novena was completed a couple days ago. The signs are now apparent that you have prayed to our Lord on my behalf and the miracle is beginning to appear. I have faith that our Lord is slowly blessing me with the money that I need to purchase the house that he has picked out for me. He started showing me a sign of women wearing green yesterday and this morning I was given money, I have faith that the full blessing is near. I have no money and no hope of getting a mortgage in my present financial situation. I found a new house that want to buy so much. I prayed to St. Jude but then I found the 9 Day Novena and also asked the Shrine of St. Jude to pray for me too. I could see on day 3 that what I was asking for was being heard. Thank you St. Jude for you are a true saint that will take a lot on to help us mortals on earth. I am so GRATEFUL!!! Thank you St. Jude for interceding on my behalf! My prayers have been answered! My results from my breast surgery showed both lesions and surrounding tissue to be benign! Thank you! Thank you! Thank you! This week, our Lenten journey culminates in Holy Week and the Easter Triduum. These sacred days are the most solemn and joyous of the Church year. For Good Friday, follow Jesus along the road to Calvary by praying the Stations of the Cross online, featuring the Way of the Cross at the National Shrine of St. Jude in Chicago. Through meditation on the scenes of Christ’s Passion and the love He showed for us, we make a spiritual pilgrimage of prayer. I encourage you to reflect on the Stations of the Cross and share them with your family and friends. Praying the Stations of the Cross is a very personal way to accompany Jesus during His loneliest and most difficult hours on earth. I am praying that the area where I had my lumpectomy heals. It will be 3 weeks tomorrow since my surgery and I have hypersensitivity near and around the incision area which has not subsided at all. I just pray that in time it will normalize. Again, I thank you for the good news regarding my results! Also, asking for prayers in regards to my 9 year old son and the mole under his skin on his foot. We have been told that it looks benign and that it will grow as his foot grows. I am going to get another opinion just to be sure. Right now his feet are peeling and healing from being in the water too much and from the friction caused from running on pavement from an outdoor water park when we were on vacation. For some reason, the skin around the mole has split and part of it has lifted. This concerns me. I am keeping my eye on it. His next appointment in June. Thank you for interceding on my behalf and answering prayers and I ask that you continue to do so in my time of need. I would like to thank St. Jude for interceding with my daughter and giving her the strength to conquer this battle. I would also like to thank my family and friends for saying the novena to St. Jude with me. His prayers and intercession have twice now been a blessing to my children. WE Thank you for blessing us .keep your serendipity on us always. Thank you from N.R ,,A.R.,J.R. Dear Saint Jude, thank you for intersession to rescue abducted children and miraculously helping to return them safe. Thank you for answering my prayers. I honour you as my special and powerful patron and encourage devotion to you. I pray that you may help me reconcile with my fiance R. She broke up with me three weeks ago and was so devastated. Please help me St. Jude. 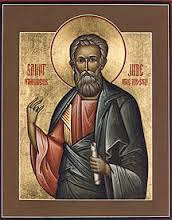 Most Holy apostle, St. Jude, faithful servant and a friend of Jesus, the church honors you and invokes you universally, as the patron of hopeless cases, of things almost despaired of. Pray for me, Am so helpless and alone. Make use I implore you, of that particular privilege given to you, to bring visible and speedy help where help is almost despaired of. Come to my assistance in this great need that I may receive the consolation and help of heaven, in all my necessities, tribulations and sufferings, particularly ( here make your request) and that I may praise God with you and all the elect forever. St. Jude pray for us and all those who honor you and invoke your aid. O Holy St. Jude, Apostle and Martyr, great in virtues and rich in miracles, near kinsman of Jesus Christ, faithful intercessor of all who invoke your special patronage in time of need. To you I have recourse from the depth of my heart and humbly beg to whom God has given such great power to come to my assistance. Help me in my present urgent petition. In return I promise to make your name known and cause you to be invoked. St. Jude pray for me and all those who invoke your name, humbly in need of your intercession, Amen. Say 3 Our Fathers, 3 Hail Marys and 3 Glory Bes for 9 consecutive days. It has been a year since my sister was diagnosed with breast cancer. Her doctor found another lump. Praying that it only scar tissue from her surgery. If it's not then I pray the lesion is benign and that she does not have to go what she went through last year. Thank you for answering my past prayers. Thank you St. Jude for helping me & answering my prayers in the past. Please continue to assist me with an extremely difficult situation that I am involved in. I appreciate the help you have given me so far and I have faith that my prayers will be answered. Please intercede with God on my behalf I will be forever grateful. Thank you St. Jude and Jesus for helping me me my prayer has not been answered but I know you are helping to guide me toward my goals. Thank you for your guidance. I posted in here a few weeks ago about another lump being found in my sister's breast a year from when she was initially diagnosed. Please, I pray that it is benign or just scar tissue from last years surgery. She goes in next week for her mammo/ultrasound. Please give her strength and good news. My mother is also going in the same day for a biopsy for a growth/spot on her leg. I too pray that it is benign. Just wanted to thank you for prayers you have answered for me in the past. I am forever grateful for your intercession. I posted in here before about the new lump that was found in my sister's breast a year from the time she was diagnose. She goes in next week for her mammo/ultrasound. I pray that it is benign or that it is just leftover scar tissue from last year's surgery. Please give her strength to get through this and good news. My mother is also going in on the same day to have a spot/growth on her leg biopsied. I pray that it too is benign. Just wanted to thank you for answering my past prayers. I am forever grateful for your intercession. Thank you for fulfilling my wishes. keep your blessings on me and. my children that they are always healthy, happy and successful. Dearest St. Jude! Many, many thanks for having answered my prayers regarding my sister's results. We were in fear that her cancer had returned but the new lump they found was benign. Thank you again for your intercession. Forever grateful to you and God. Here I am again, asking you to intercede on my behalf. Before I write my request I would like to thank you for answering my past prayers. I have a growth on my eye which is growing slowly but it seems to be spreading to another part of my eyelid. I really don't want surgery. I was hoping it wouldn't get any bigger or that it wouldn't spread but this doesn't seem to be the case. Praying that it stops growing and that it is benign including the new growth I am seeing which looks different from the initial one. I noticed the other day that I have horizontal ridges on more than half my finger nails. I read up on it and it could be some underlying disease. I pray that the other nails steer clear of this condition and that it will grow out, not get worse and that it is simply related to stress and nothing else. I also have been experiencing some discomfort in either my upper breast or armpit area. It's more noticeable during certain times of the month. Again, praying it will eventually go away on it's own and that it is benign. Finally, I pray that the mole on the bottom of my son's foot stops growing and that it is benign as well. Dear St. Jude please intercede before God for the release of the innocent school girls from Nigeria. Please intercede for their help. They are in need of help. Please intercede for them to be brought safe to their families. Thank you for your help with the few ones that escaped the kidnappers & thank you for the many times that I have received God's help through your intersession. Please help my professional dream become a reality in the coming days, so that I may continue on the path I have chosen with confidence and joy in my heart. I thank you and promise to share with others the miracle that you have made possible for me, so they will seek and praise you as I will for your divine intercession. Thanks be to God most high. Thank you St. Jude for your intersession before God. Dear St. Jude, I humbly request your intercession before God. There's been a management change at work and the new people are not nice. I'm all stressed out and desperate. Please intercede for me before God to help me by having the work environment improve or to help me find another job. I promise St. Jude to give a donation to the orphanage in your honor. Thank you for coming to my aid in this time of need. Blessed be God forever, Amen. Thank you Saint Jude for your powerful intercession. Both requests were granted in a very short period of time. Please intercede again for me. Praise The Lord! Alleluia! Thanks be to God Most High! Thank you St. Jude for your divine intersession and coming to my aid in my time of highest need. Just when I was most desperate and I needed your help relief came from God. Thank you for your intersession before God. Blessed be God! Amen. I just wanted to say Thank You! We are losing our home to foreclosure, I began my prayers to St. Jude 4 days ago to save our family from this horrible situation. We are at the point where we need a windfall of money to stay here, a blessing to learn that the process is failing, or to receive a fair and affordable new payment plan. I am hopeful that you will speak to God on our behalf. On my second day of prayers in my Novena to You, I was surprised to be notified that our child was given a full all inclusive scholarship for this year in college, which was a tremendous weight lifted off of our hearts and minds. I had not even asked for that blessing, but somehow I suspect that You are doing everything you can for us. We are a strong family, and our children (3) have no idea what is happening. I will keep praying my Novena to you, and hope that you can speak to God for us, so that we can stay here. Praying for my 10 year old son who has been complaining of pain on the ball of his foot. It started 3 days ago. If it gets worse I will have to take him to the doctor's to get examined. I pray the pain is nothing serious and that it will go away on its own since he has anxiety issues at times when going to the doctor. Thank you for interceding on my behalf and answering past prayers. Thank you God for your divine help in changing my work environment – things are getting better and my level of stress is improving, but I still need lots of help and I'm desperate to change my work environment. Thank you St. Jude for your divine intercession. Dear St. Jude please intercede for me before God, so that I can perform well in the interview and get that new job and succeed, so that I may praise God and give thanks to you His servant. Also, I promise to make a donation to the orphanage in your name. I'm facing a very difficult situation at work, and I'm very stressed out and desperate. Thankyou St. Jude for answering my prayer. I have got back the person whom I need in my life. Please Pray so that I can Marry her and live prosperous and happily. Most Holy St. Jude, I pray with constant fervor and faith that you will intercede on my behalf to grant my soul mate the courage and clarity to see as clearly as me that our relationship is meant to be. Take away his fear of being hurt and losing his stepdaughter by making the right decision. Amen. Thank you St. Jude for helping me find the lost iPad. In your honor, I'll make a donation to the innocent children of the orphanage and I'll pray your novena. Thank you for coming to my aid once again in my time of need. St. Jude, please intercede for me before God, to help me find a new job in accounting where I can help and provide for my family in all aspects of life and that I may progress and increase my quality and be useful to everybody. Lord Jesus, my desire to work is itself your gift. You made me with talents so I could shine Your Light to all the world. Send Your Spirit to guide me to work that will provide security and joy, and most of all the ability to serve You in love. St. Jude, I do not know where I am going -- And so I call upon you in my need. Bless my spirit with the determination to press on. Give my heart patience and fortitude. Help me, dear friend, to know that God's plan for me is forged out of love. Amen. St. Jude, you have never let me down before. Please intercede on my behalf so I am selected for promotion and I make it to retirement so I can provide for my family. Thank you. Praying to you in regards to two health concerns. The first being for my father. He has been complaining of a sore left breast. I will be booking an ultrasound for him today. I pray that when the results come back that whatever it is is benign. Secondly, I have noticed that in the last 8 months a mole on my left breast has doubled (if not more) in size and darkened in colour. I pray that it doesn't get any larger or change in any other way and that it is benign. I am applying a natural remedy in hopes of having it reduced in size. I had success with the same method with a growth on my eyelid. It was a different type of mole on my eye but I am praying for the same result with the one on my breast before seeing a doctor. I am grateful to you for answering my prayers in the past and pray to you once again to intercede on my behalf so that my prayers will be answered. Dear St. Jude - Thank you for hearing my prayers. I humbly beseech you to bring my petition in this hard time in my life - to our Lord. Please bring enlightenment to this man whom I believe I should be with - we should be together. It would be right and good. I love him totally and will love and care for him. I believe he realized recently he loves me, too. I thought we arrived at this understanding - after a very long and unhappy 40 years apart, but need assistance in helping him see this is right and, though change is hard, the outcome will be so rewarding. For both of us. Please bring him back into my life - permanently. Amen. Thank you. Thank you. Thank you St. Jude and our heavenly Father. Please st Jude help me with my finance problem and let me and my daughter get a place we can call home. May the sacred heart of Jesus be adored glorified loved and preserved throughout the world now and forever. Sacred heart of Jesus pray for us, st Jude worker of miracles pray for us. Amen. Please intercede for me before God, so that I may be offered the job that I applied for today. Please come to my aid in my time of need. I'm in a very difficult and desperate situation. Please help me and I promise to pray your novena at church and to make a donation to the orphanage. Dear St. Jude - I pray to you for your help with our Lord in this very trying time of my life. Please bring back into my life this one man I have loved for the past 40 years. Please cause him to know that I am the woman he should be with. I promise to love, honor, cherish and take care of this man for the rest of our lives. Thank you for listening to me. Thank you for hearing me. Please help me. With much love, Amen. We are still waiting on the tests results of my father's ultrasound from 1 1 /2 weeks ago. Praying that nothing was found or that whatever the pain is, that it is benign. Also, I have not seen any change from the natural home remedy I have been using for the mole I found under my left breast. It has been just a little over 2 weeks. I will continue with the application for another few more weeks and pray that it will begin to lighten and decrease in size like the growth I had on my eyelid. Praying too that it is a benign mole. Another concern I have is the pain I have in my upper left breast towards the armpit area. It tends to be more pronounced during a part of my cycle. I have had so many issues with my breasts over the years with biopsies and surgeries. I am hoping that it is not anything serious. There are so many other issues in my life right now that I need the strength to get through all this. My anxiety is taking over and I feel so helpless. I will continue to pray as I do and ask for your help to intercede on my behalf. Thanking for answering past prayers. I will continue to pray as I do and ask for your help to intercede on my behalf. Thanking for answering past prayers. Thank you St Jude for all you have done for me. Please hear and answer my prayer like you always have done. In about 1 1/2 weeks time I will be going for my annual mammogram and breast ultrasound. I pray that no new growths have showed up and praying that the pain in my upper L breast/armpit area is benign. I'm hoping all test results will be negative and that there will be no need for follow up appointments for biopsies. Please, St. Jude, intercede on my behalf and have my prayers answered. Thanks you for answering past prayers. Forever grateful. St. Jude thank you for interceding on my behalf - my prayer was not answered in the way I thought, but I believe it was answered in a way I never anticipated, but one that is best for me and my family. Thank you - BAKrieger!